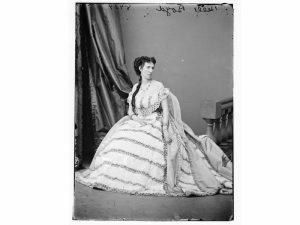 Below is an article on the different feminine wiles in the Victorian Era. They were a great means of persuasion and a medium of formulation in activities of day to day life. Wiles is basically the act of getting something done by means of using clever tricks and tactics. Feminine Wiles are the acts of using femininity to outfox a man and get things done for themselves. Feminine Wiles can include many things, whether a display of emotions, use of sexuality and charms and beauty. It is an art that requires high feminine talent, skills, and guts. It is often considered to be a manner of influencing men using sexuality and seductiveness, however, it is actually quite more than just that. It is also commonly mistaken as deceiving and manipulation in a negative way whereas it is definitely not. It is an art that is not developed or learned. It is inbuilt in every woman by virtue of her femininity and is therefore naturally inclined towards using it. 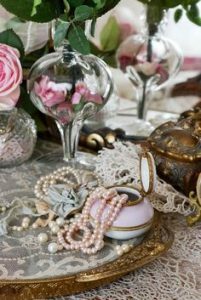 Today, it is just a common way of using simple and subtle actions like a smile on a salesperson and things like that but back in the Victorian era, it was a matter of proper usage of skill and talent and existing resources in order use feminine wiles. Let us learn about them in detail. The Victorian Era was a time of progress amongst men and women both. No longer were the men the ‘dominant beings’ of the class but women like Christina Rossetti, Mary Shelley, Annie Miller and many more were competing with men shoulder to shoulder in aspects of art, research, trade, science and more. Women in the Victorian knew their way in at many places. The women solved the issue for men at places like Henley and Wimbledon of starting a conversation. With only a smile, they knew how to convey their emotions and messages. The women used artifacts like highly decorated hats, great colognes, and catchy colors in a way that it was striking to the eye and a question was initiated by man. They knew how exactly to draw attention in a subtle way. They also kept a track of the attention. The appropriate one is not too much and not too less. The women used places like the race course and displayed their excitement and energy at the game. They were also very well dressed and cut their hair in a fringe that suited their white skin and blue eyes. By means of their dressing, they displayed their superiority in the society. 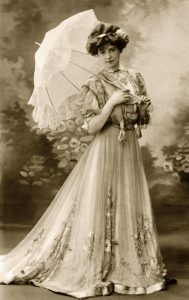 A woman in a big wired gown and a neatly woven hat that is decorated with stones, wearing white sparkling pearls and white gloves covering her hands and highlighting her fingers that give a classy wave to somebody in the crowd was obviously considered superior in status than a woman who was very simply dressed. 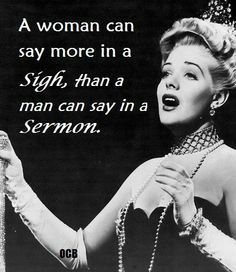 Not only that, the way she spoke to a man using her voice as a medium of displaying her current mood was also quite charming to hear. The movement of her hands while in a deep conversation and the use of her eyes be it a quick glance or a deep gaze also had quite a lot to say. 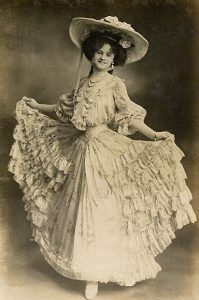 Every occasion in the Victorian era had a different mood and outfit on a woman. For example, something worn to a dinner party would not be worn to a funeral. The colors and the moods on the two occasions would be totally different from each other. The use of emotions is also feminine wiles worth noticing. A woman quite emotional about a situation would be able to easily get away with a ticket at the signal rather than an emotionless woman trying to make a sensible point (if she is). The techniques of subtlety changed as the women grew older. 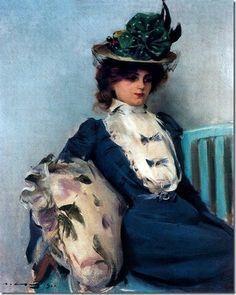 A young woman in her twenties used a quirky and rather active mood but an older woman would use an elegant approach to towards moments. 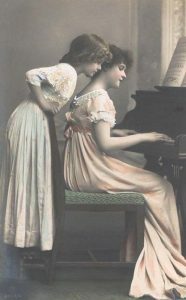 Feminine Wiles in the Victorian era was also used professionally. A woman that applied for the post of a secretary to a lonely chief had more chances of being employed but that also depended on the way she used wiles. Many chefs and artists at the Royal Palace and the Royal Academy had women secretaries as it was a popular notion that they got their jobs done faster! Men in the Victorian era most the times appreciated a woman that knew her wiles unaware of how they affected them.